MAY I be allowed to comment on a couple of remarks in last week’s Observer, even if my comments might seem flippant, in part? Your Editorial Comment says that you always seek to tread a neutral path where local controversies are concerned. This has long seemed to me to be a problem for local newspapers which cannot afford, for commercial reasons, to alienate those who buy the paper or advertise in it. Hence, the usual position is, of necessity, a reluctance to take a firm position unless it is unavoidable. I’m not criticising, just stating what seems to me to be a hard fact of life in local journalism. Secondly, and definitely more flippantly, Dave Sully’s remark that doing nothing where the Link Road is concerned, is ‘not an option’. In any situation doing nothing is always an option. Consider being on a narrow ledge, a grizzly bear at one end and a mountain lion at the other. One can opt to try to pass either of these foes or take one’s chance by jumping off the ledge. Alternatively one can opt to do nothing and wait to see what happens. Finally, also on the subject of the Link Road, is the theory that the Battle of Hastings might really have been fought near Crowhurst. Having walked over most of the Combe Haven Valley, it doesn’t strike me as very likely terrain for a set battle of that time. Defending armies usually tried to take up a position on high ground which is in short supply in those parts. Is this theory a red herring from the anti-road lobby? Forgive my witterings - I’ll try to get out more. YES, I am one of the treehuggers who are intent on stopping the link road even at the 11th hour. There are several compelling reasons why it should be stopped in its tracks. It will destroy the beautiful Combe Haven Valley and along with it possibly the true site of the Battle of Hastings. The spiralling costs far outweigh the benefits for homes and jobs. It will make no difference to the A259 traffic pollution and just shift the problems elsewhere, and our vital public services will be cut to pay for it. And perhaps the biggest reason why not, is that planet Earth cannot continue to absorb the increase in carbon emissions. We are all starting to see the effects of global warming on our weather systems. The arrogance of Peter Jones leader of East Sussex County Council, our local MP’s and council in pushing through this costly folly, without listening to local dissent, is an indication of how desperate they are to hide the true costs. Wake Up Bexhill before it is too late. Once it’s gone, it’s gone for good! I AM sure that many readers will have been highly entertained by Mr A Millar’s letter (Observer October 12) where he talks about “the caucus of whingers” that he has conjured up, who criticise Bexhill’s new seafront. He then goes onto list many of the very faults which the so-called whingers have highlighted. Living in Upper Holloway, London, Mr Millar is sadly out of touch with the current reality of what is going on here. If he had, for instance, attended the Scrutiny Committee meetings on this very subject, he would have heard constructive criticism about the very obvious faults which the town’s residents are trying to sort out. Various citizens who have to live here, are quietly working behind the scenes to correct the errors and all this is being done without fuss and publicity. However, so fundamental are these errors that it will take very dedicated work over many years and this will not be cheap. Serious errors were made originally and for these there is “No quick fix”. 1066 and all that - what’s the truth? FURTHER to D Williamson’s letter (October 26 Bexhill Observer), describing my view as a “fatuous outburst,” local historian Nick Austin shows conclusively, through close examination of the Chronicle of Battle Abbey, that the monks at the time created a false tradition - that the Abbey was the site of the battle - to reinforce their claim to be free of taxes or church interference. Coincidentally, this week the national media (eg Telegraph, Mail, Radio 5live) have considered historian John Grehan’s new study placing the Battle of Hastings not at Battle Abbey but at Caldbec Hill. However, so far not a single artifact has been found at Caldbec Hill and while the Battle Abbey site has been searched for 200 years, no human remains or artifacts from the battle have ever been found. Alternatively, Nick Austin and his team of amateur archaeologists have found a number of artifacts in the Combe Haven Valley, including earthworks and ditches, a timber construction, a spear, a Turkish crossbow and helmet rings, and in Crowhurst the wall and tree mentioned in Wace (a primary source) and the original abbey remains. The Battlefields Trust - set up by English Heritage, which owns Battle Abbey – has taken Nick Austin’s work sufficiently seriously to invite him to give a talk to them in January. Significantly, The Battlefields Trust has agreed to work with the county archaeologist, Casper Johnson, to establish whether the Battle of Hastings did actually take place in the Combe Haven Valley, but need to be asked to do so. If D Williamson is still not convinced let him view Nick Austin’s talk himself, online at http://www.youtube.com/watch?v=0ir6iqREEFY&amp;feature=youtu.be , but what is urgently needed is for The Battlefields Trust to establish the evidence. If readers are persuaded of the need, perhaps they could contact Casper Johnson - casper.johnson@eastsussex.gov.uk – to give support to what is a very reasonable request. And also ask our MP, Mr Greg Barker - enquiries@gregorybarker.com - to invite Ed Vaizey, Minister for Culture, to intercede on behalf of our national heritage, right here beside Bexhill, which is at risk of being lost forever. IT is well documented that £22 million has been spent so far on the link road and that the county council plans cuts to care services, children’s services and other transport initiatives equivalent to future expenditure on the road. Recent events suggest repercussions will be more widespread. Oxford Archaeology are currently performing an initial archaeological search in the valley on behalf of the county council. A video on YouTube makes disturbing viewing as a large trench is gouged across a field. Difficult to understand that a licence could be obtained for this activity. Additionally there is increasing evidence that Combe Haven may have been the real site of the Battle of Hastings. Yet it appears the county council is not taking this possibility seriously, choosing instead to carry on regardless. On a more personal level I, along with some neighbours, are concerned about the future of a magnificent oak tree in the grounds of the old kitchens of King Offa Primary School. A nursery school, displaced by the road, will move temporarily into the building shortly. We are worried that a health and safety audit will lead to the tree being felled. Residents concerned about similar repercussions in their own locality will be well advised to find out what is planned and take the appropriate action. Furthermore the introduction of parking charges to Little Common Car park is having a disastrous effect on village trade. The first hour should be free and then charged thereafter, which is the general opinion held by customers using the village shops. I WRITE in response to an article which appeared in all editions of the Observer dated October 19, titled “BHLR protest disruption at council meeting”. While of course I accept your desire to print the story, I would have expected to have been asked for a comment in response to what happened at County Hall and the points being made by protesters. Your piece was not balanced and I’m pleased the Observer has acknowledged that fact. We welcome people’s comments and views, but the funding decision for the link road was made back in March after an extra three months of consideration by government ministers and as I’ve said before, the argument on which it’s based has already been exhaustively debated. It was also subject to a rigorous planning application and an extensive public enquiry. Along with all councils across the UK we are responding to the current economic challenges and, because of the prudent way we’ve managed our budgets, we are also able to invest in schemes - such as the link road - that will help our residents, boost business and regenerate the economy. This road is absolutely crucial to the regeneration of Hastings and Bexhill. It will bring better access to jobs; opportunities for housing and business development; and fewer cars using roads that aren’t suitable for them. The road will make it possible to build 1,200-2,000 new homes and business park space of 50,000 square metres; it’ll create more than 3,000 new jobs and bring economic benefits valued at £1bn. It is for these reasons we believe the road is so important to the area. Add this to the £500million budget for growth the County Council will be investing to support the economy – it means more business investment, more company expansion room, more local jobs and a stronger economy for the benefit of the whole community. BACK in March of this year you printed a letter from myself regarding the introduction of charges at the car park in Little Common. It was basically a request for those who objected to the charges and all the related problems this would cause to contact Rother and make their feelings known. 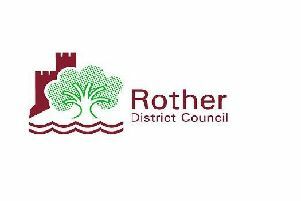 Many people did this but obviously as seems to be the case with Rother, it knows better than the residents it affects. The outcome was inevitable - even greater safety and congestion issues on Birkdale, drivers taking to parking wherever they can (opposers please bear in mind that if you have no alternative to bringing and collecting your child by car then to most £10 a week is unaffordable).Finally a totally underused car park. The most vehicles I have seen in there is around eight-10 when it holds approximately 40. Yet it was always full during school times before the charges.So at least 30 cars now parked elsewhere. It is not only the parents that are affected, parishioners of St Marthas now park on Birkdale and I have witnessed elderly residents returning to their cars (again on Birkdale) having been to the chemist or shops and having to get in their car quickly ,to avoid the busy traffic, rather than in the safety of a car park. It would be interesting if someone from the council would like to disclose the revenue generated to date . So the purpose of this letter is to provide two solutions to this and possibly other current local issues. Firstly would be to scrap the new charges completely and if Rother needs to generate income put Pay and Display meters (with exclusion permits issued to residents) on the roads around the Hastings Direct offices ,a much more profitable idea. It may also relieve problems for the residents. Secondly if Rother insists it needs to make money from this plot of land ,then build the much requested new bowling lanes there. Could I just finally say to Rother: you have let so many other issues run and runwithout action, why not nip this one in the bud and scrap the charges? AS the country prepares to remember those who have fallen in conflicts past and present, and as the centenary of the beginning of the First World War approaches in 2014, it is pertinent to learn more about an important aspect of Bexhill history which seems to be underdeveloped. I refer to the link between our town and Canada. The siting of a Canadian Officer Training School at the now demolished Metropole Hotel and a Trench Warfare School on what is now St Augustine’s Church during the First World War and the presence of the Calgary Highlanders during the Second World War offer perhaps the greatest link which can be seen in our local British Legions and in the road names at the top of Buxton Drive. As I embark upon an academic career, having just completed a PhD at the Centre of Canadian Studies (University of Edinburgh), I feel it is an appropriate time to explore these links with some more formal research. Under the tentative title ‘Canadians in Bexhill’ I have begun investigating this aspect with a view to developing a greater understanding of the role of the Canadians in the town during the two world wars and their legacy on the town itself. Depending on the material that can be procured, I hope to develop this topic for both an academic audience and the town as a whole. Having discussed this topic with friends and colleagues in Canada there would appear to be much interest in learning more about the role of Canadians in our town. I would therefore be interested in hearing from anyone who may have information or insight, military or otherwise, which I may be able to utilise for the project. I can be contacted at canadiansinbexhill@gmail.com and on Twitter @cdnsinbexhill.